French newspaper Le Monde says it’s Paris’s second wettest winter on record since 1900. In this photo from 2016, you can see how high the Seine River normally is. Click through to the next photo to see how high it is this week. In this picture from January 25, 2018, you can see how high the river is now. A man uses a rope to transfer a bag of supplies to his friend who lives on a houseboat as the banks of the Seine River are flooded after days of rain throughout the country and in Paris, France January 25, 2018. 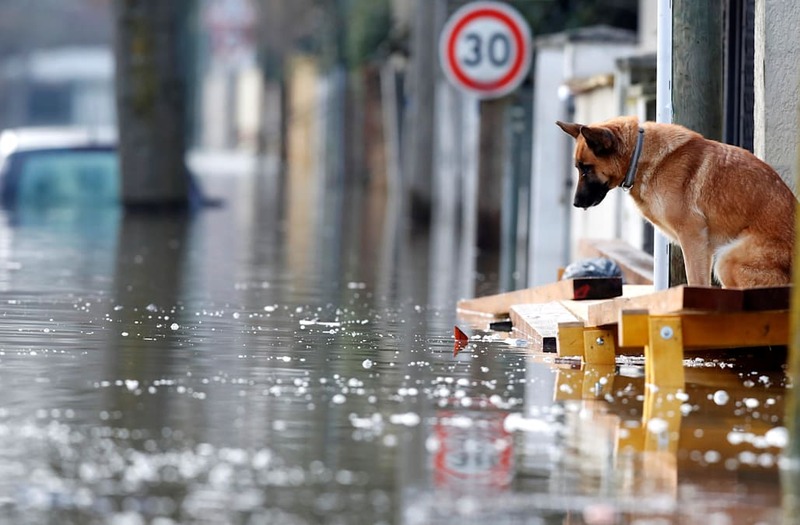 "Flooding is a natural phenomenon; it becomes a catastrophe because we humans have put ourselves and our infrastructures in the wrong place,” Sebastien Maire, Paris’s chief resilience officer told the Guardian after the 2016 floods.